Standard carbine buffer machined from billet aluminium with black hard coat anodized finish. Laser engraved with the Palmetto State Armory logo. what is the carbine buffer weight? BEST ANSWER: This is the standard 3.0oz carbine buffer. It is not one of the H series. What Is the Weight on this Buffer? Will this work for an Ar15 pistol build? BEST ANSWER: Yes, it will work with carbine length buffer tubes as used in most AR pistol builds. 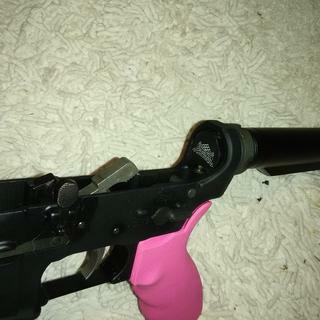 I use a Standard Carbine Buffer in mine. I have not had any problems. Mine is a 10.5” barrel. I know of some 7.5” barrels that needed a different buffer. It will work for a 10 inch, 11 inch, 14 and 16inch barrels. Yes, this buffer will work with a pistol build. It does in mine with 7.5" barrel. 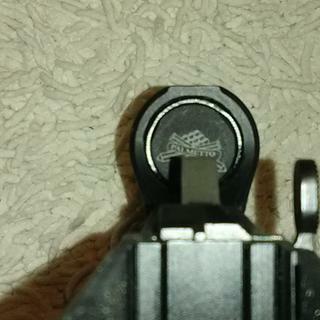 Thanks, you just answered my question on my 7.5" AR pistol build. other factors come in to play as well im assuming even 1/8 and 1/7 would make a difference as 1/8 would have more "resistance"(longer time in the barrel) projectile weight and bcg weight effect it also gas block would be a big factor with how much gas it lets in. Is this buffer powder filled or metal weights? Metal weights. It has worked flawlessly for me. Is it the same weight as an H3 buffer? Well built buffer, and it functions great! I test fired about twenty rounds and rifle cycled great. I'm pretty confident that it will hold up to much more. Shipping was very quick. What else could you ask for! Fast shipping on a solid product with the best price I could find. Good product but no logo. Very cool it has the psa logo on the front, and the black finish seem very tough. Works great on a pistol AR build. So far the looks are great. I can't speak to the performance yet as my build is not yet done, but I have never been disappointed with PSA products. lazer engraved with logo??? not on mine. Excellent Quality got it to finish my PSA build, love the laser etched logo! Great deal on a nice buffer. I just received one and it is exactly like the one advertised. Black coating with the PSA logo. Worked great in my new 8.5" 300 blackout upper from PSA. Very happy customer.